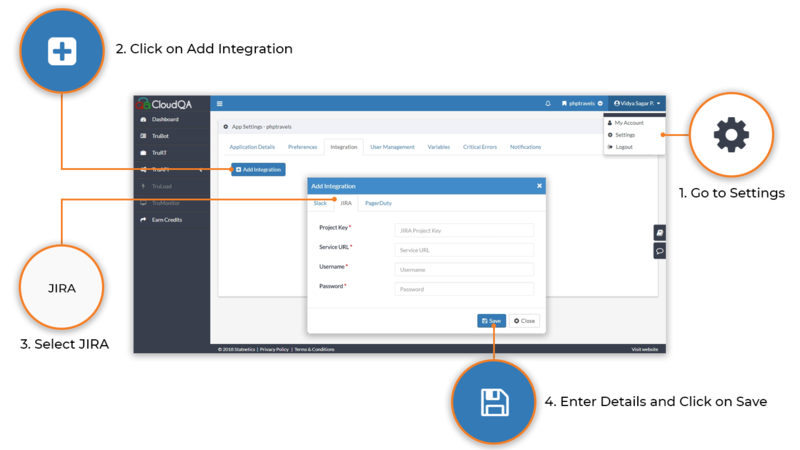 CloudQA integrates with popular bug trackers such as JIRA. Using these integrations, you can easily export issues from CloudQA to your bug tracker. Use it to manage your bugs in your existing workflow. CloudQA can integrate with any tool which uses Zapier.